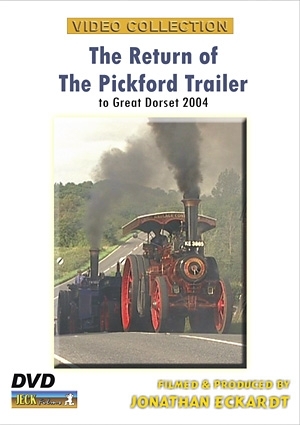 Worn out from long service as the trailer carrying the main loads of the Heavy Haulageat the Great Dorset, it was dispatched for overhaul to Vincent Engineering of Henstridge in Somerset after the 2003 Show - naturally by Steam! Just before the 2004 show it was returned in pristine condition - again under Steam. Real Steam transport on the open road is nowadays a rare occurrence. It is, therefore, perhaps more spellbinding than it ever was.